Looking for an incredible, easy-to-reach day trip from Rome? This town in Umbria is it! From the incredible Trevi fountain to the unmissable Coliseum, Rome brings you back to an age of empires, and for many travelling to Italy, Rome is the first stop before venturing onwards to cities like Florence, Venice and the Amalfi Coast. Rome is a magnificent city, there’s no doubt about it, but the downside is that it has become increasingly crowded over the years. I remember my first trip there more than a decade ago – there were no lines into the Vatican, Pantheon, Coliseum or Roman Forum, and that was during peak season! 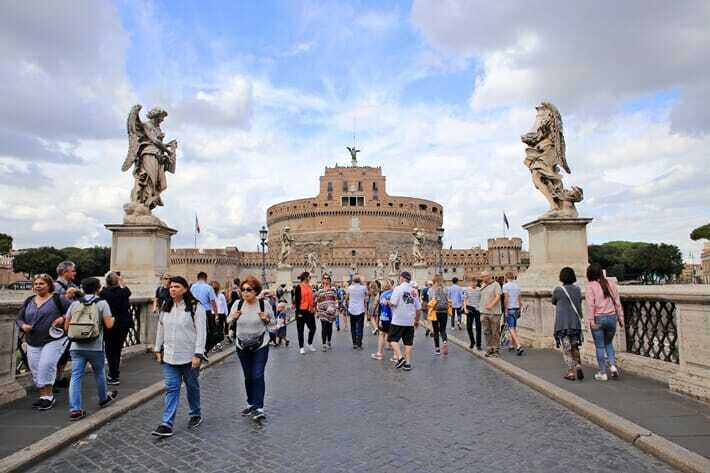 This past trip, we spent 2 nights in Rome as a buffer before flying back home to Hong Kong – and to be completely honest, I could not believe my eyes when I saw hordes and hordes of people. Everywhere. 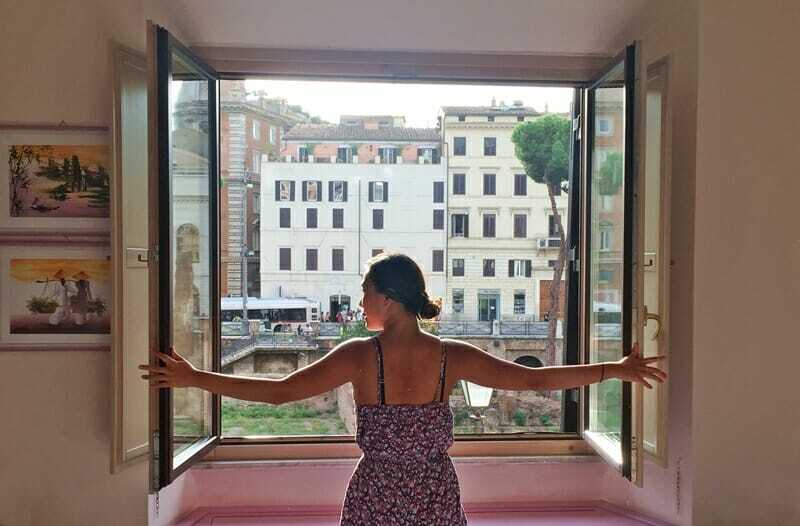 There was almost no breathing room, and seeing as we had visited Rome and the major monuments a handful of times already, I began looking into day trips just to get away from the crowds and get off the beaten path in Rome. And that’s how Orvieto made its way on my travel radar! It is easily reachable by train from Roma Termini, and it takes less than 90 minutes to get there. 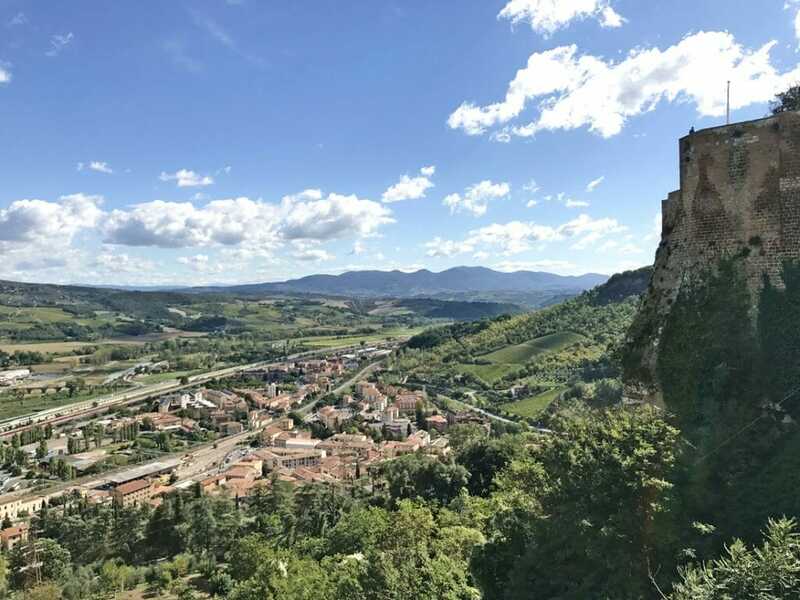 This little town offers up the most striking panoramic views, a stunning Duomo, a bell tower and underground crypts. 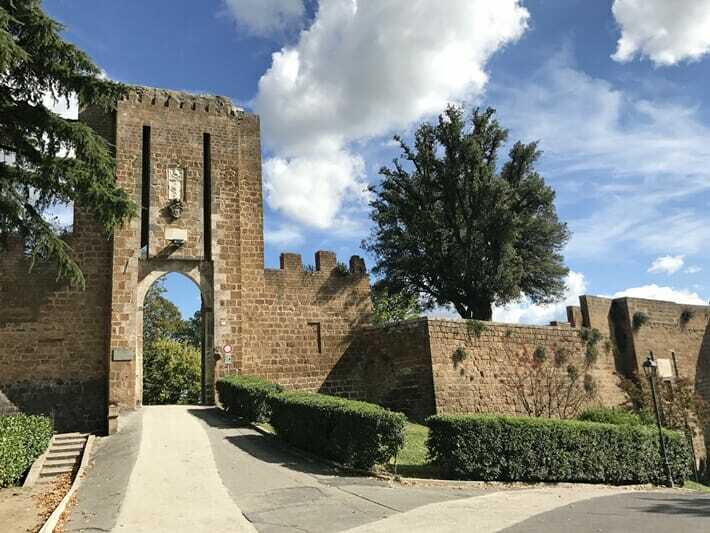 If you are looking for the perfect day trip from Rome, look no further than Orvieto, a charming little Italian hilltop town in Umbria. Only have a few days to spend in Rome? Click here for 5 unmissable places and landmarks to visit! 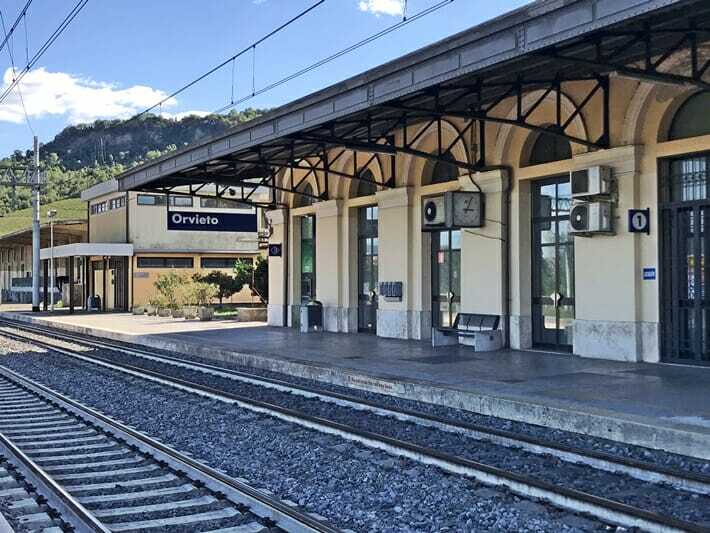 There are direct trains from Rome to Orvieto almost every hour from the Termini station. The trains don’t tend to be incredibly busy, so you can easily purchase a ticket from one of the ticket machines at the station. Depending on whether you take the regional or intercity train, a one-way ticket will cost between €7 to 15 and will take just under 90 minutes. If you aim to take a train at 9 or 10 AM you can easily make it back to Rome by 4 or 5 PM. 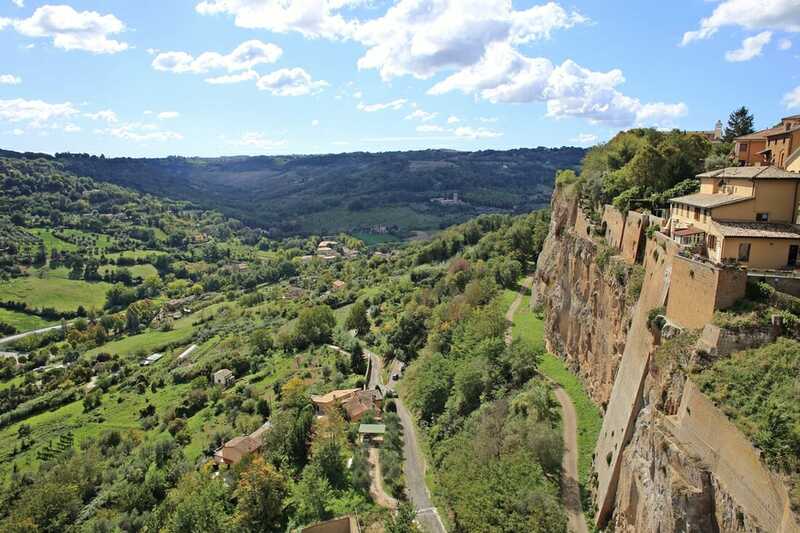 Once you arrive in Orvieto, you can hop on the local funicular all the way up to the main town. The funicular station is conveniently located across the street from the train station (you can’t miss it), and the funiculars run every 10 minutes. Tickets cost €1.30 per person each way, and you can pre-purchase your return ticket from the counter. 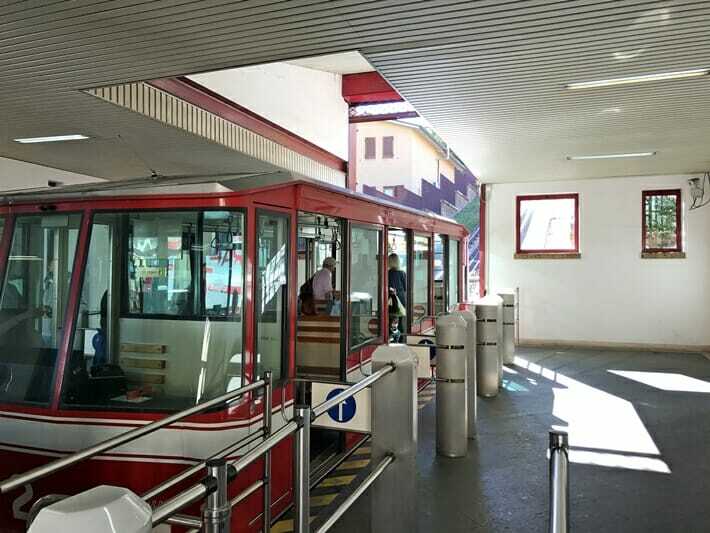 The funicular takes just a handful of minutes to ascend all the way up to the heart of Orvieto. The main town can easily be explored on foot, or you can join an afternoon guided walking tour every Monday, Friday and Saturday. The tour does not run year-round, so double check the schedule here. One of the best things about Orvieto is walking through the charming and classic Italian side streets between each of the landmarks. The cobblestone paths wind and weave through the town, and it is not hard to navigate if you have access to Google Maps, or you can click here for a map of Orvieto. * Props to my mum for helping me out with this classic “walking away from the camera but I know you’re taking a photo of me right now” shot. As soon as you step off of the funicular, turn left to make your way to the public gardens and fort. In its heyday, the fort had a moat and drawbridge, but today only a portion still remains. You can roam freely around the fort and gardens to enjoy a stunning view of the valley and surrounding towns from high up above. There is no entrance fee. 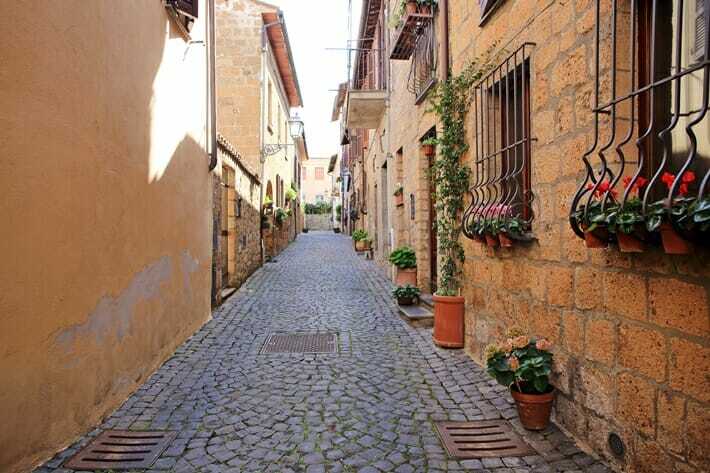 After the fort, cross the street and make your way down Corso Cavour, the main street running through Orvieto. The street has quaint little side streets and cute little shops selling lavender products, books and local produce. After a leisurely 5-10 minute stroll, take a left to head towards the Duomo of Orvieto. 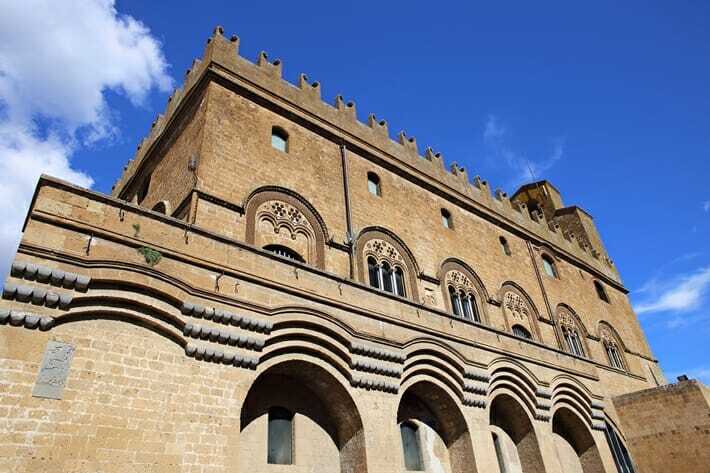 Visiting the Duomo is one of the best things to do in Orvieto – this cathedral is nearly 800 years old but still stands proudly with a gleaming pink and almost-golden facade. You can also pay a small fee (€4) to enter the Duomo, but make sure you are dressed appropriately (covered knees and shoulders). No Italian town is complete without a bell tower. Make your way back onto Corso Cavour to head to Torre del Moro. 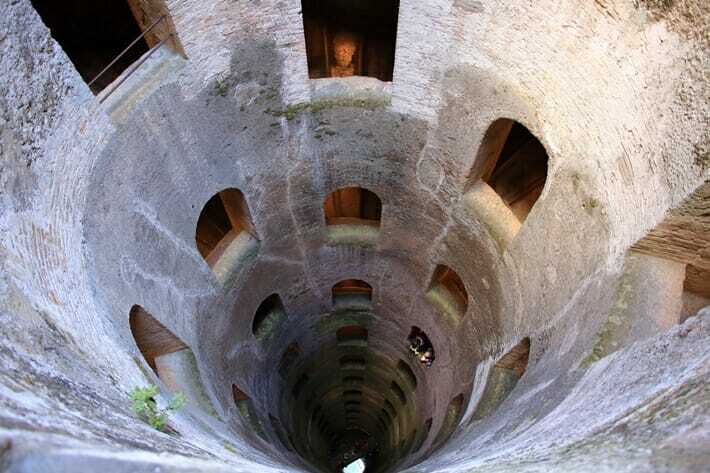 This tower offers the most breathtaking 360-degree views of Orvieto and is absolutely worth the €2.80 entrance fee. The best part? There is an elevator that takes you half way up so you don’t have to walk like a chump, and then you climb the last stretch of stairs to get to the viewing platform. Just a warning, the bell rings frequently and extremely loudly, so be mentally prepared to have your eardrums assaulted when you are up there. Still worth it, I swear! Italy is home to some of the most spectacular bell towers and view points. Click here for 14 things you should know before you go to Italy! Just steps away from the bell tower is the Palazzo del Popolo. Unfortunately you can only check out the palace from the outside as it is not open for tourist visits, but it is still a beautiful medieval-style structure today. 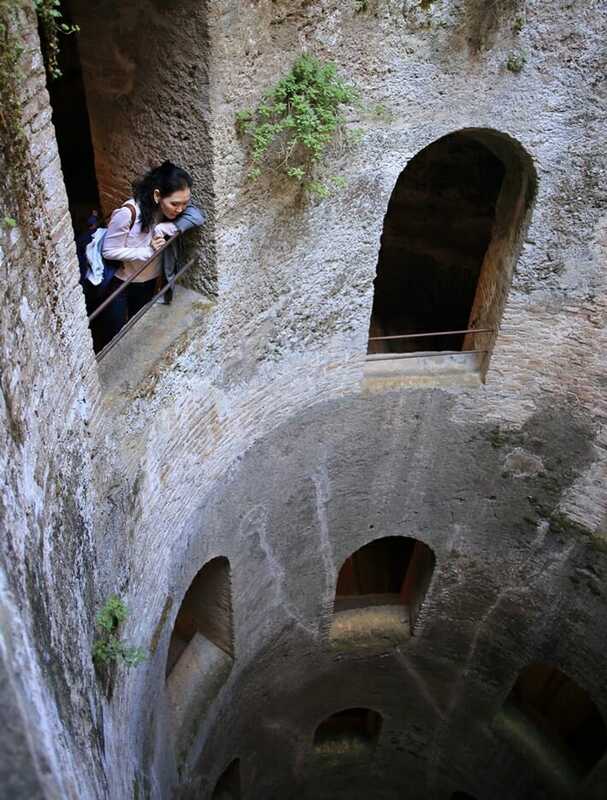 Unfortunately I’m not a massive fan of underground mazes and tunnels because I have a fear of being buried alive, so I didn’t manage to explore any of these sites, but Orvieto is famous for its subterranean attractions. Entrance fees run from €3-6 Euros and you can join tours where they lead you through underground mills, caves, wells and cisterns. If you only make it to one underground attraction, make it this one. 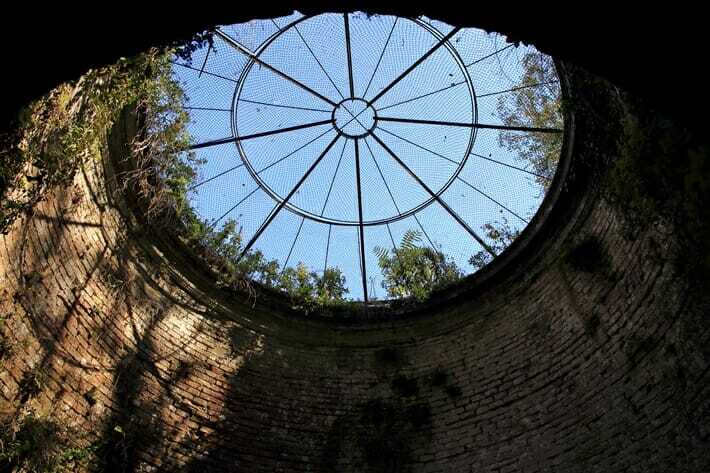 The Well of St. Patrick is conveniently located next to the funicular station and was built in the 1500s. 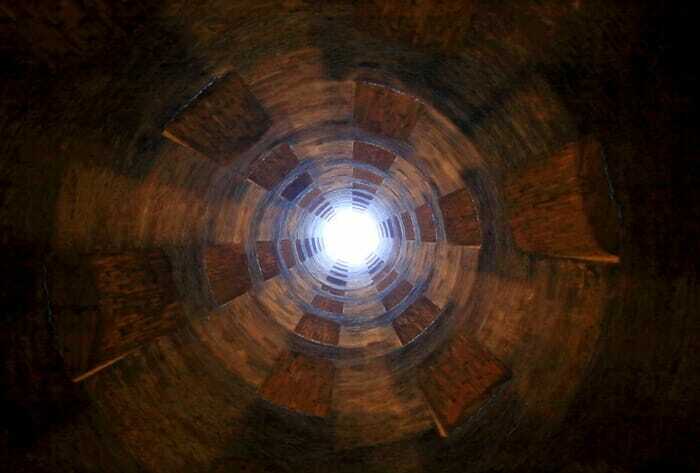 The well was commissioned by the Pope so that the city would have access to water if it came under siege. St. Patrick’s Well is 54 metres deep (248 steps), has a diameter of 13 metres and has a double helix staircase that overlaps one another so that donkeys could walk down and back up with water without any traffic blockage. It is somewhat reminiscent of the Quinta da Regaleira well in Sintra, Portugal, and is a fascinating structure to explore. The entrance fee is €5 for adults or €3.50 for children and senior citizens. Once you catch your breath after ascending back up the well, it is just a hop and skip back to the funicular station where you can start the trip back to Rome. We visited Orvieto for a day trip and had breakfast before leaving Rome, but by around 1 PM needed a pasta fix, pronto. Osteria da Mamma Angela (it is as cute as it sounds) is a small eatery located near the Palazzo del Popolo and offered up the most heartwarming homemade soup and amatriciana pasta. I didn’t get to try the pie, but it looked like a crowd favorite. Call ahead and make a reservation if you plan on visiting during the peak season (July-August) as seats do fill up. Temple View Hotel: wonderful hotel right by Piazza Largo Argentina, large windows open up and offer an amazing view onto the forum where Julius Caesar was supposedly stabbed. Click here to book your stay at Temple View Hotel! Abitazione Pigneto B&B: clean and good value for money, slightly out of the way but frequent trams will take you to Termini. Click here to book your stay at Abitazione Pigneto! Hotel Royal Santina: If you want a clean and modern place to stay that is right next to Rome Termini train station, then book this hotel. It is also right next to the bus depot so you can catch buses all across the city. The hotel is modern and the rooms are comfortable. If you love high pressure, hot water showers then you’re going to love it here. Not necessarily a negative, just something to be aware of – breakfast is an additional 3 Euros (which is extremely reasonable). 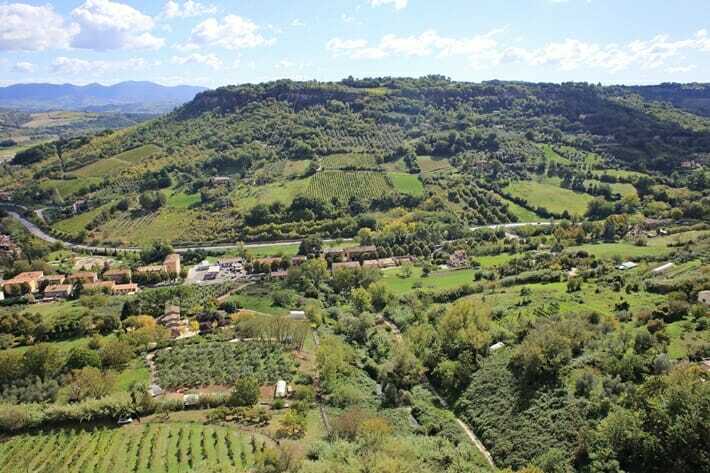 Thinking of embracing the quiet town of Orvieto and staying overnight? 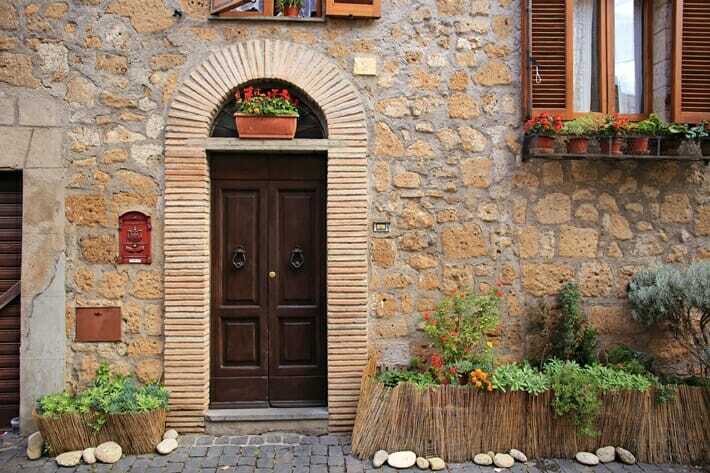 There are a number of accommodation options available, click here for current rates or head on over here for even more Italy destination guides and travel tips! 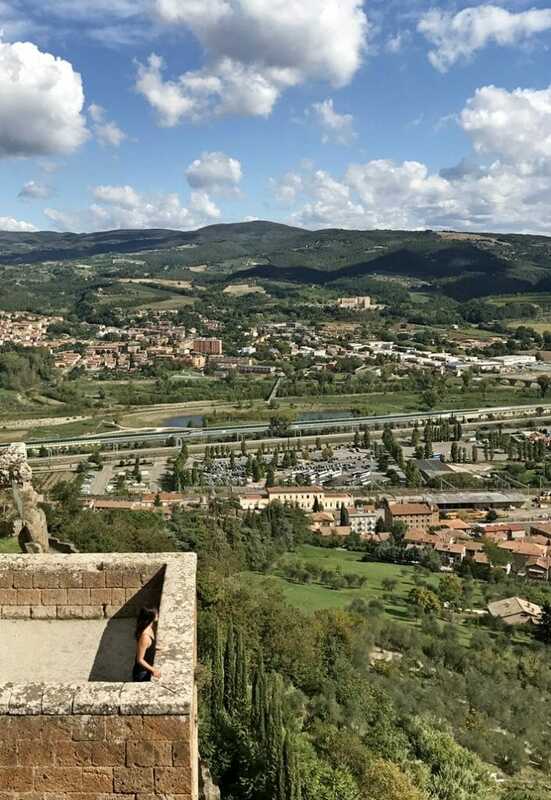 Can you see why Orvieto is such an underrated day trip destination from Rome? Will you be adding Orvieto to your list of places to visit in Italy? What are some other good day trip destinations from Rome? Comment below and tell me all about it! This article contains affiliate links. If you choose to book using these links, I will earn a small commission at no extra cost to you. Thank you for supporting my website by using these links, I only recommend products or services based on my own positive personal experiences. Hi Laura! I really appreciate you taking the time to read this. Have you been to Rome before? If not, enjoy! I remember the fist time I visited the monuments and it was breathtaking. Orvieto is such a contrast to the number of people in comparison to Rome. I love exploring places like these. We have been pushing Italy from our list only becasue people keep saying its crowded all the time. It is extremely easy to get off the beaten path in Italy. There are so many small towns that are stunning and worth visiting – plus, if you visit during the shoulder season or off season there are barely any crowds. Our beloved Italy! 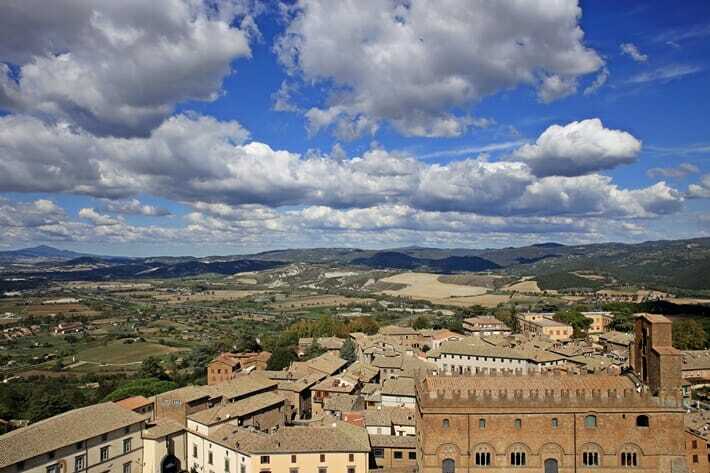 We have been to Orvieto few years ago but our journey didn’t start from Roma. The Duome is super, inside and outside with a style very unique!! 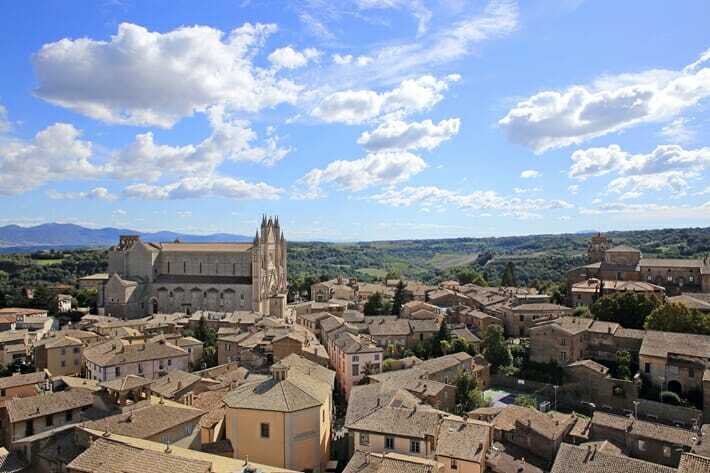 Where did you visit Orvieto from? Umbria is stunning and I’d love to explore more of it! I’m based in the north of Italy, in a small city that reminds me of Orvieto. I love Umbria but not yet been here. 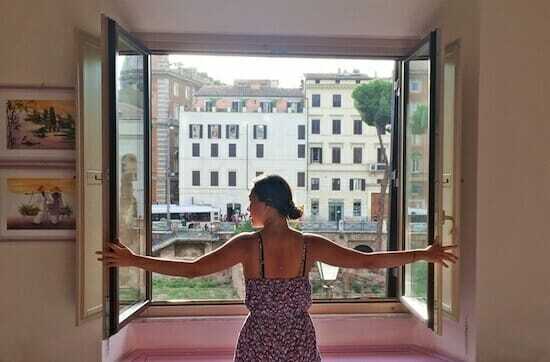 Your hotel looks like a good choice in Rome, and I love all your photos too! I would love to visit your home town one day! I haven’t explored much of northern Italy yet…maybe 2018 or 2019! Awesome blog, full of great ideas and recommendation. I am going to be in Roma this year. I will visit the places you have suggested. I love finding hidden gems. I hope you have a fantastic time in Rome! Have you been before? If not make sure you head to Hotel Minerva for a rooftop cocktail. 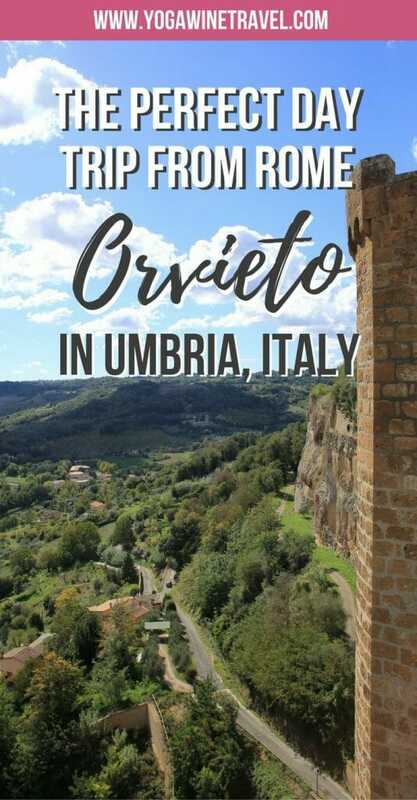 I have never heard about Orvieto before but looks like a perfect destination for a day trip. 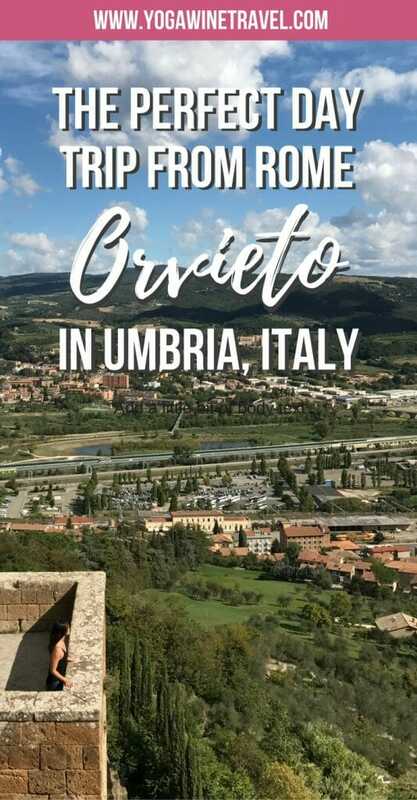 This guide is really good and comprehensive for the first timers who are visiting orvieto. Adding in my alley 🙂 . Thanks for sharing. I wouldn’t have known about it if I wasn’t looking for a quick day trip out of Rome, but boy am I glad I looked it up! It’s such a stunning hilltop town, I’m shocked that it remains relatively unknown! 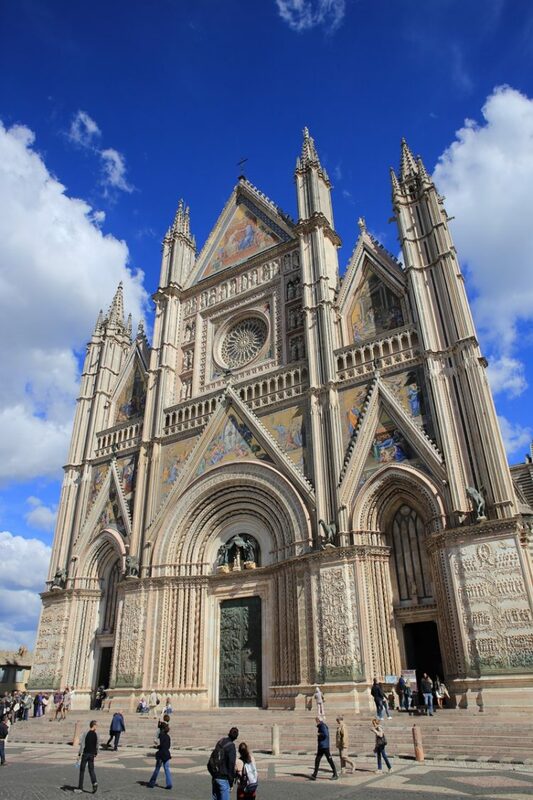 Orvieto looks so nice – like almost every Italian city does! And the great thing is – like you point out – that Italy is really easy – and cheap! – to travel by train. What time of the year have you been to Rome that it was so packed? I don’t remember it being as overcrowded as Venice and Florence. Still – the less known cities – like Orvieto – are always an excellent alternative to the more famous places and often just as beautiful. Bella Italia! I visited Rome in 1997 and I remembered it being a little crowded…but not that bad. But your description made me realize a lot has changed over the years. The Fortezza Albornoz looked like an amazing way to start the day (loved the fact that it didn’t have an entrance fee) and that Duomo rivals some of the most beautiful cathedrals in Italy! 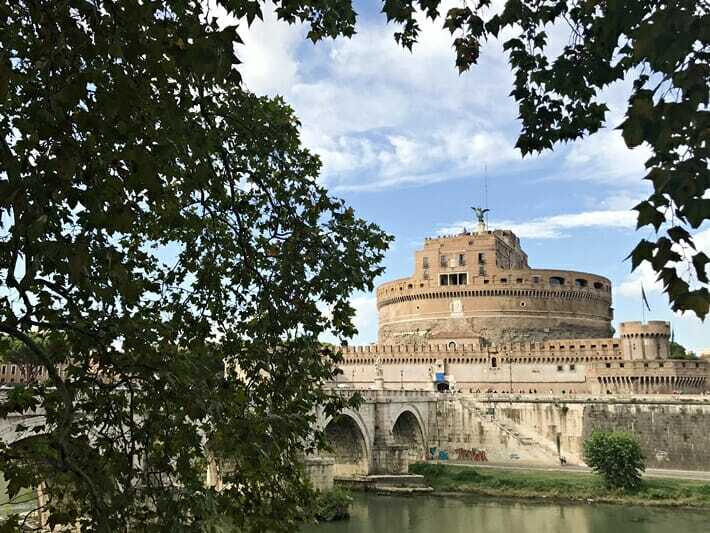 Thanks for sharing this post, if I end up back in Rome I’ll have to add this to my itinerary! It’s changed tons since I first visited – still an incredible city, but you have to be mentally prepared for the crowds! Well-it’s true that affordable airfare has made most of the world’s most popular attractions something that so many more people can access these days that the crowds have increased. nothing we can do about that……….except go to smaller cities! 🙂 I missed ovieto when I lived in Italy but it looks like many of the beautiful cities I visited in Italy where I got to enjoy all that was best about the country without the insane crowds (Ravenna, Parma, Modena, Vicenzo.. are some of my faves). Good to know it’s such an easy train trip from Rome! You lived in Italy? I’m so jealous! I love that it is so easy to travel to smaller towns and cities around Italy – I’d love to spend more time there one day. Definitely want to avoid crowds so this going to be helpful for me. I’m heading to Italy this summer with the family and hoping to get some quality experiences and connections with the people we meet there. Whereabouts in Italy are you headed? Enjoy your trip! Thanks for writing this! Italy is one of my dream destinations and I may be going in October for my aunt’s birthday, but we weren’t sure which parts to see. It looks so beautiful in Orvieto and I’d love to avoid some of the huge tourist crowds, so this is perfect. Great post! Have an amazing trip! Italy is one of my absolute favorite countries – make sure you don’t skip Florence and the Amalfi Coast!